Host Gabriel Tyner catches up with The Record Man Producers Mitchell and Debra Egber on the red carpet at the Miami Dade College Miami International Film Festival. THE RECORD MAN is a uniquely American story of how a group of musical underdogs with raw talent and diverse backgrounds, led by the indefatigable determination of one man, Henry Stone, exported the music of Miami to the world. 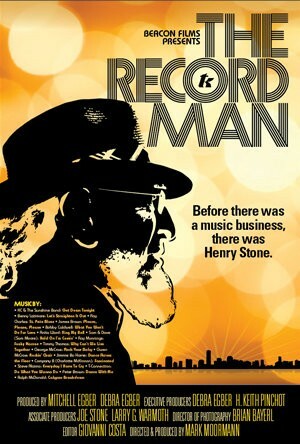 Before there was a “music business” there was Henry Stone, “The Record Man”. From distributing records out of his ’48 Packard to establishing TK Records as the largest independent label of the 1970s, Henry had an ear for hits. His funky eight-track studio and chart topping family of artists including KC and the Sunshine Band, led to the original Miami Sound and birth of Disco. When his empire collapsed on a baseball field in Chicago in 1979, Henry didn’t miss a beat launching Miami Freestyle. Turning personal tragedy into an opportunity to empower others, through Henry Stone we witness the dramatic arc of the record business from inception through the digital age. With photographs unearthed after 40 years, THE RECORD MAN captures a forgotten musical history.